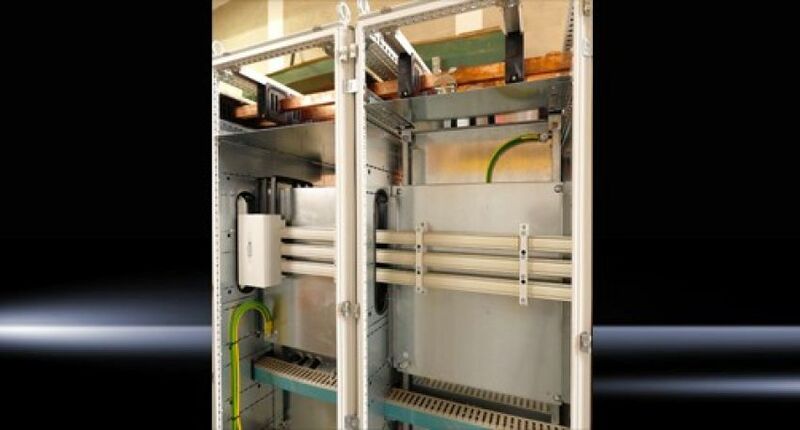 Rittal’s Ri4Power Modular Busbar System Ideally Suited to Industrial Switchgear Application | Rittal - The System. 2019-01-07. Rittal was approached to provide power distribution and motor control centre system for a replacement drives panel at a steel mill based in the North of England. The heavy-duty industrial switchgear system that drove the mill was no longer operationally effective. Its drives and controls were out of date, some of the drives were no longer working, and there had been a series of equipment failures over the years. The panel itself was located in a cellar below the rolling mills, which created a dusty, difficult and therefore challenging environment for highly sensitive electronic equipment. There were also size restrictions on the new panel imposed by the limited available space. Rittal liaised with the system’s principle designer and nominated Integrator, MAP Automation, and specified ABB’s drive systems and power components. The motor control centre system was based on Rittal’s Ri4Power electrical power distribution system and designed via Rittal’s Power Engineering planning software. Ri4Power is ideally suited for this type of application. It supports reliable, low-voltage, switchgear systems for machines, plant, and buildings and has been subject to stringent testing under the most demanding conditions which has demonstrated its suitability to support the needs of industrial switchgear. Its welded modular design means power can be split at specified points, for ease of installation. Meanwhile, the Power Engineering software provides teams with comprehensive support in planning and verifying standardised Ri4Power switchgear, as required by IEC 61439-1/-2 standard. Unusually, the steel mill’s new panel required a double busbar systems, for built-in redundancy. The main horizontal busbar system fed via an air circuit breaker (ACB) while a standby busbar system fed critical loads. The standby Busbar system (RiLine60) was fitted on a double mounting plate system located behind the variable speed drive sections. Shrouding was provided to prevent indirect contact if the rear steel covers were removed. The ACB was fitted using a new busbar supporting kit to deliver a quick solution which complies with switchgear standards. It was also clear that the new motor control centre had to accept the existing field cabling; an issue quickly resolved using Rittal’s maxi PLS which provided an easy connection to these large, incoming cables. In addition, Rittal’s energy-saving LED panel lights were specified to make future installation projects and on-going maintenance easy for users and operators. These fast-fit lights include plug-in power leads as standard and are easily controlled through a door switch. The installation had to be carried out within a limited timescale and during the mill’s shutdown period, but was built and delivered on time.